Recycling: New era for PURAGLOBE with Group III oils. 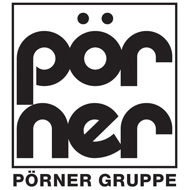 In mid-2017 a new era began for the PURAGLOBE GmbH based at Tröglitz when the Group III process stage was put into operation. For the first time, it is possible on world-wide scale to produce base oil of Group III quality at the HyLube 2 plant. This base oil meets the requirements of API 1509 Appendix E. To produce this quality, a stronger hydrocracking is required, i.e. a process featuring a higher pressure and higher temperatures than needed for the production of Group II base oils, and an extended catalytic treatment. 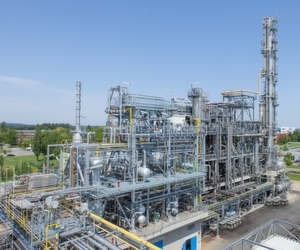 With this technological quantum leap PURAGLOBE converted 50 % of its capacity at Tröglitz to the production of Group III oils thus staying abreast of the latest technical changes, e.g. with engines and machines, and the market requirements. Meeting its own high quality standards PURAGLOBE is going to sell on the market one of the best lubricants of its class. The used oil hydrogenation plants HyLube 1 (2004) and HyLube 2 (2008) applying the UOP Hylube™ process at the industrial park of Elsteraue are capable of producing Group II+ and Group III base oils from about 250,000 tons used oil per year and other high-grade mineral oil products of excellent quality. To be able to produce Group III base oils, it was decided to extend the HyLube2 plant designed by EDL in 2008 by an additional process stage. Late in 2014 EDL started the single-phase design (basic and detail engineering as one package), prepared the requisitions required for the procurement of material and construction and was on hand with help and advice for the customer when it came to the construction of the new process stage. For the permitting process EDL prepared the necessary documents based on which PURAGLOBE as owner obtained the necessary official permits pursuant to the Federal Control of Pollution Act (BImSchG). A particular challenge was the integration of the new equipment framework into the existing HyLube 2 plant and the placement of the new large-size equipment, such as the furnace and compressor. The optimization of the plant design along with measures to minimize investment costs required very close cooperation from all parties involved in the project. In autumn 2016, EDL handed over the last engineering documents of the usual high quality so that only minor adjustments had to be made during construction. Assisted by the EDL site engineers for piping and C/S/A PURAGLOBE and its general contractor completed the construction and installation in high quality, within the budget and time frame and started operation in June. For PURAGLOBE it has been an important milestone on the way to bringing this innovative product onto the market. It sets new standards especially when it comes to sustainability in industrial production by energy saving and avoidance of CO2. New used oil hydrogenation plants have been in the pipeline for quite a while both in Europe and the USA. But the company also focusses on the upgrading of existing plants for the production of Group III base oils. EDL has process know-how for the production of high-grade base oils, waxes and special products. When it comes to used oil treatment for the production of Group I, II and III base oils customers can resort to EDL’s long experience. The same applies to the production of synthetic base oils of Group V based on the Fischer-Tropsch process.